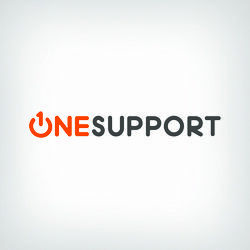 OneSupport has been offering tech support since 1993. 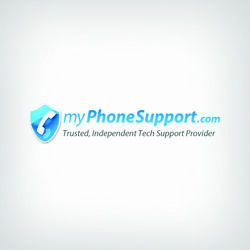 OneSupport is a tech support company that has over 20 years of industry experience. The company's mission is to create customer experiences that lead to a better relationship. Currently, the company employs over 1,700 remote technicians. OneSupport's representatives are available year-round, 24 hours per day. Representatives are also entirely U.S.-based, and online chat is available on the company website. OneSupport currently offers multiple services for customers that want to pay monthly, yearly, or for a one-time fix. Services include virus removal, network help, and help for hardware and peripherals such as printers and webcams. For the most basic monthly fee of $14.99, OneSupport will cover up to 5 devices. This is one of the best plans we've seen, as many tech support companies will only cover one to three devices for a similar fee. The company offers a business plan that costs $24.99 per month and covers two small devices and one computer. Although coverage for five devices is one of the best we've seen for OneSupports monthly fee, we couldn't find any information explaining what devices can be covered. Other tech support companies will be clear on their coverage of PC's, Macs, Android devices, and iOS devices. 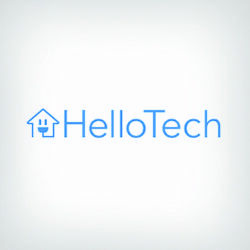 Some tech support companies will offer a free trial period for their services. OneSupport, unfortunately, isn't one of those companies. This would be a helpful step for OneSupport to consider because many consumers will want to try their services before they commit to a contract. The monthly support service requires a sign-up fee of $49.99 which may deter potential customers. Best customer service I’ve ever had! Always answer quickly, everyone is very intellegant and willing to do anything to help. Would highly recommend for anyone going through computer issues. OneSupport was able to help me with recovering my pc after it continued to boot to the bluescreen of death. I didn't lose my files & was back up and running the same day. Their reps & techs were both helpful & courteous. I highly recommend them! Been a member with this company for about 10 months. They raised their rates and instead of grandfathering me in they ended my subscription, and said I needed to resubscribe under the new terms and prices which was significantly more than what I was paying. Additionally, I would have to pay the initial $69.99 fee. I addressed this with customer service and was met with indifference at best. Other times rudeness. Ultimately, told them I am moving on to another tech support company (which are a many number of them) and cannot overstate you to do the same. I worked with four different representatives, and cannot overstate the excellence of communication skills, patience with me, and know-how. And, there was no waiting to speak with someone! Bren, we're so happy to hear that you had great interactions with our agents and are happy with our service! When I called with my problem they said ohh yeah we can fix that, so I paid and they couldn't even help me. The guy did all the things I already did and rushed me off the phone without ever actually helping me. I want my money back. Called got a rude man who talked like he was not all there. Then he hung up on me. I wouldn’t use your service if it was the only tech support on this planet! I bought this service for my dad to help him when I am unreachable and they have been amazing, he loves them and I love them! Rett, Thank you for your kind words. Our team is always happy to hear that we've made an impact. Customer satisfaction is of the utmost importance to us. Thank you for the review, please reach out any time you need us. I was making a factory reset on a laptop I was bought was told from the sales person that I have to partition my drive. I know there are more complex but safer options than a factory reset. A simple Google on how to reset a windows password gives you the four steps for one minute of support I got. I insisted on a refund and he said no and basically that I got what I paid for! FML there goes 70$ I really needed. Justin, Thanks for sharing your feedback. We’re sorry your experience with our company was lacking. We strive to always provide the best possible service to all of our customers. I have pulled your account to be sure the matter is addressed within our company. Please feel free reach out to us at 844-818-3415 with any further comments, concerns, or suggestions you wish to share. We would love to make things right if you give us another chance. After buying a new desktop I had problems. I found One Support and they corrected it. Now I have them tune up my computer periodically. They give me peace of mind when it comes to my on line activities. Thank you!! William, Thank you for your review of our service. Our team is always pleased to hear we've made our customers happy. 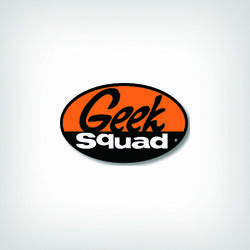 We're here 24/7 for all of your tech needs, please feel free to reach out at any time! Total scam to get you to buy a package deal. I googled HP support and and their 800 number came up. Hooked me up to someone who acted like they were helping me with my computer over the phone, and patched me in with some East Indian guy right away who spent a hour acting like he was trying to figure out what was going on with my computer, and gave me a case #, and said someone would call me the next day, but never called. So, I called back with my case #and they said I got scammed. and tried to tell me that the East Indian guy was trying to scam me, so they had a protection plan against that. Oldest trick in the book to try to get you to buy a package. Complete waste of my time, and they scam people intentionally. It should be illegal what they are doing. I’m glad I am smarter than that, because it is a very clever idea, but oh so wrong!! I figured it out very quickly. After purchasing a computer from Walmart and having it break down on day 25, Walmart referred me to One Support. I would NEVER use this service after dealing with them. The computer I purchased was still under warranty but One Support would tell me that it wasn't under warranty on day 25. Instead, they tried to say it was my fault the computer failed and that I would have to pay to fix it. They tried to sell me a plan and told me I'd pay to fix the defect. I spoke with a jerk working for the company who told me I bought a bad product and most people "know better." The agent was so rude and was no help at all with the issue. I took the defective computer to a local technician and was told the product was indeed defective. One Support lied to me and Walmart didn't want to deal with it. DO NOT LISTEN to One Support, or Walmart if you buy a defective product from Walmart. Even though Walmart only covers the product for 15 days, insist that they help you with the warranty. After 6 hours of dealing with Walmart and this horrible company, Walmart finally did take the defective product back. One Support was no help at all. Anita, We are very sorry to hear that you had a negative experience with our company. While we are glad that someone at Walmart felt that our service was good enough to recommend, we are not in any way affiliated with Walmart or their warranty services. Our team would not be able to see any warranty information for your machine. I am very sorry that you were not treated in a kind and professional manner. We strive to provide the best possible customer service during every interaction. Please feel free to reach out to us at 844-818-3415 with any further questions, comments, concerns, or to let us know if there is anything we could do to make this right moving forward. A rose, Thank you for taking the time to review our company. We are very sorry to hear that you had a negative experience with our company. We strive to provide excellent customer service every time, however, it seems we fell short. Please reach out to us at 844-818-3415 with any further questions, comments, concerns, or to let us know how we could make this right for you. One support is by far the best computer fix system ,I have used different ones over the years , but one support addressed and fix all my issues . . I would like to thank , Heather, Winter , Jeff , Phillip , Saf, and Joseph the Supervisor, If I missed anyone I apologizes who all work so hard on fixing my problems , with patience, Professionalism, and Knowledge . I highly recommend one support ..
Joseph, Thank you so much for the kind words. We are always excited to share great feedback, especially when specific agents made enough of an impact to be named by the customer. Please feel free to reach out whenever you need us! Mathew was very through, friendly and explained everything that he was doing. I was in a panic and he made me feel secure. He answered all of my questions. Judith, Thank you for your kind review. We're very happy to hear that Matthew provided you a great experience and will pass this information along. Thank you! Experienced a hacker/thief taking over my computer , it had all my important documents and i.d. 's of my boyfriend and i , and they helped recover my computer and watch over it for a small payment a month . Thanks !! Jessica, Thank you very much for taking the time to review our company. We're always happy to hear that our customers are happy with our services! We appreciate your kind words.